Here we have added the mane to bring you an exceptional five gaited Saddlebred head pendant. Sure to attract and please the Saddlebred lover. 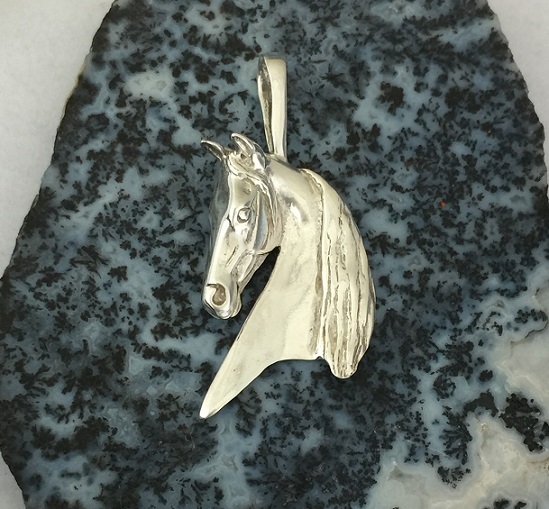 After all we know it's hard to find quality Saddle horse jewelry, and with are many designs to choose from it may be safe to say your search has finally ended. Happy shopping!